View Cart “The 50 Greatest Players in Indians History” has been added to your cart. SKU: 9781935628347. Categories: Sports & Recreation, Baseball. 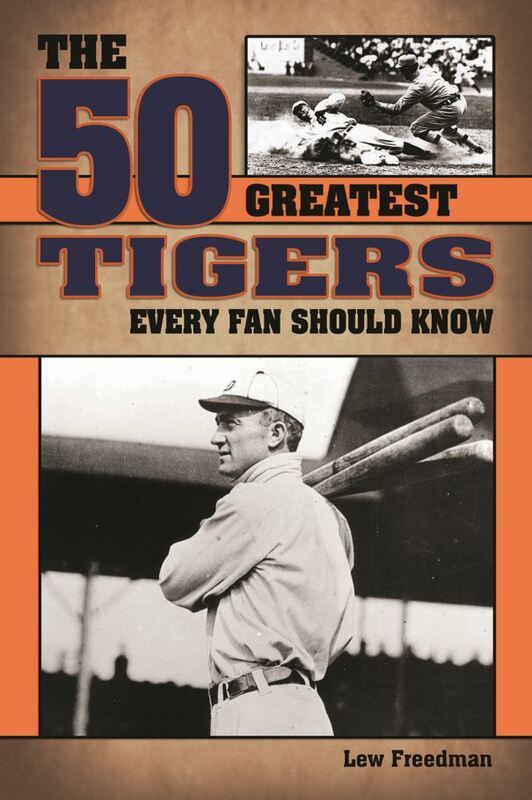 The 50 Greatest Detroit Tigers Every Fan Should Know brings to life fabulous and famous moments in team history, from Ty Cobb’s masterful wizardry that brought him 12 batting championships, to Al Kaline becoming the youngest player win an American League batting title. Not only are memorable pennants and World Series championships covered through the achievements of the best players to ever wear the famed English “D” on the front of their jerseys, but insights reveal what Miguel Cabrera was thinking when he won a Triple Crown and what some forgotten great Tigers of the past did during their starring years with the franchise. World Series titles won in 1935, 1945, 1968 and 1984 can be relived through the accomplishments of the greatest Tigers of the past from Hank Greenberg to Charlie Gehringer, Hal Newhouser, Miguel Cabrera, and Will Horton. Many became Hall of Famers, enshrined in Cooperstown, and it can clearly be argued that others such as Alan Trammel and Lou Whitaker belong there. The Detroit Tigers date to the founding of the American League in 1901 and the club has a long and glorious baseball tradition spanning more than a century of baseball. Lew Freedman is a veteran sportswriter who is the author of more than 70 books, many on baseball, and has been an avid researcher of baseball history. He has also worked as a sportswriter for the Chicago Tribune, Philadelphia Inquirer, and Anchorage Daily News. He wishes he could have seen Ty Cobb play. Also available in eBook Format. Blue River Press books are distributed by Cardinal Publishers Group. Created through a collaboration of dedicated, knowledgeable and highly respected baseball umpires, assignors, and professional rules consultants, NCAA Baseball Rules in Black and White: 2019 – 2020 is the missing guide for umpires everywhere.